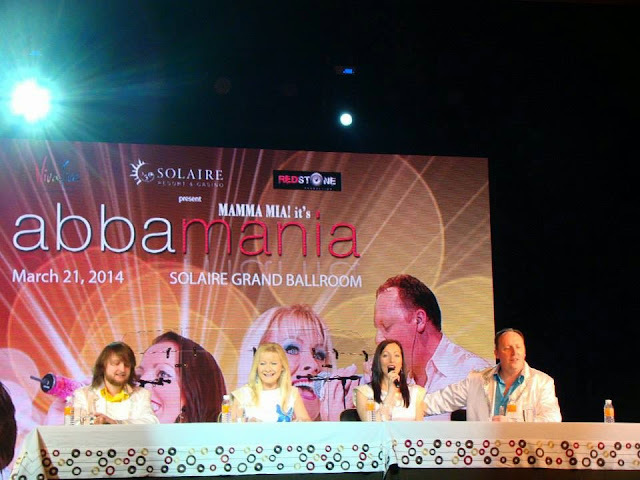 Viva Live Inc. and Redstone Media Productions brings Abbamania at the Solaire Grand Ballroom, Solaire Resort & Casino this March 21st. 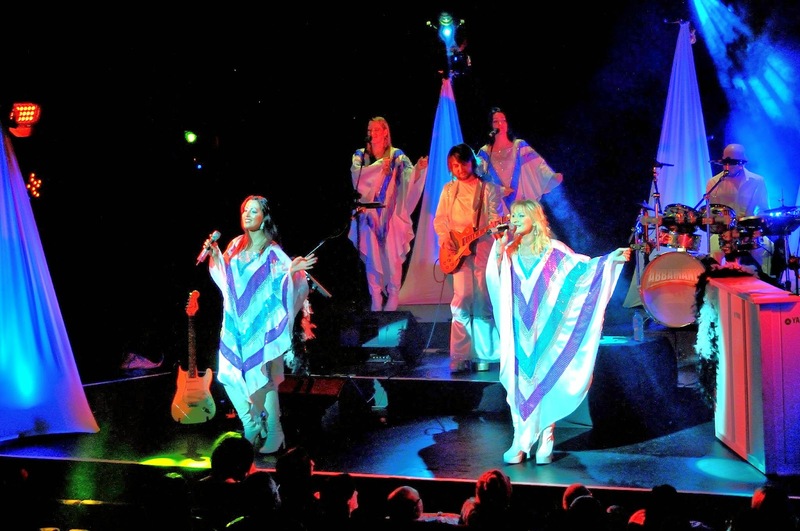 AbbaMania recreates the Swedish pop group's sound perfectly for the diehard ABBA fans as well as the new generation who had never seen ABBA perform live. ABBA was formed in Stockholm in 1972. Registered under trademark ᗅᗺᗷᗅ, it is an acronym of the first letters of the band members' first names (Agnetha, Benny, Björn and Anni-Frid). ABBA was one of the pop groups from Scandinavia that catapulted to fame on world stage in 1974 when it won the Eurovision song contest with Waterloo. 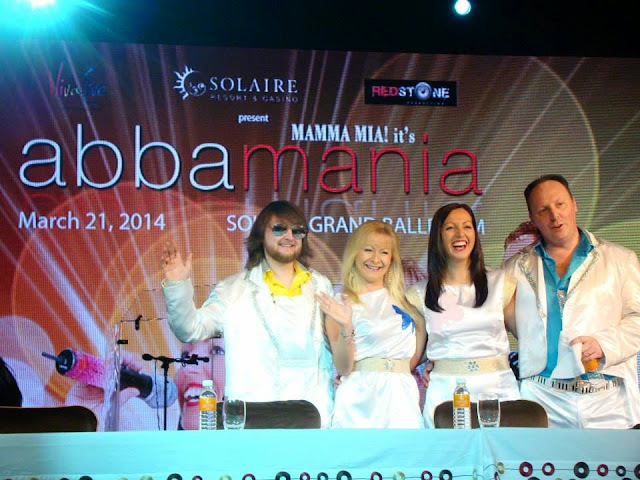 The hit film and musical Mammia Mia, based around a string of Abba hits, has given the group's music a new lease of life. Formed in 1998, the AbbaMania group has delighted fans in sold out concerts in Singapore, Denmark, England, Portugal, Scotland, Belgium, France, Ireland, Germany, Philippines and other parts of the world. It is now back in Manila due to popular demand after a successful concert series last year. ABBAMANIA is closest thing to a true ABBA concert experience in concert. Dance the night away as the Swedish quartet relive the days when 'Dancing Queen', 'Mamma Mia', 'Take a Chance on Me' and 'Fernando' ruled the airwaves! Take a trip down memory lane with chart-busting hits like Lay All Your Love On Me, Super Trouper, I Have A Dream, S.O.S., Chiquitita etc. Come see them play ABBA music immortalized in the motion picture Mamma Mia! AbbaMania tickets are available at Ticketnet (911-5555), SM Tickets (470-2222), Ticketworld (891-9999), and Viva Concerts (687-7236).